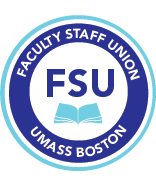 The Faculty Staff Union is funded almost entirely through members' dues. We strongly encourage all faculty and librarians to join the FSU, and almost 90% have. Welcome to the FSU: An introduction to your union by President Marlene Kim (for tenure track faculty and librarians). Compare membership and non-membership status to see why the vast majority of faculty and librarians are full dues-paying members of the FSU. See here for a document outlining just a few of the things that your union has done for you. Dues are deducted once a month, usually in the second pay period, between September and June. Contact the FSU office or membership and payroll deduction authorization forms. Click here to see the dues rates for 18-19. Your payments to the FSU may be tax deductible; contact your tax professional for advice.